Head and neck pain is an extremely common condition and there are many recognisable symptoms associated with it. Neck pain is often associated with headaches and can also refer pain to the shoulder and arm. Your treatment program at Platinum Physiotherapy will be tailored to your individual needs to ensure reach you maximum physical potential and continue to enjoy everyday and sporting activities. Headaches affect approximately two-thirds of the population. Headaches are often seen in those with poor posture, office workers and people under stress. This kind of headache is called a ‘cervical headache’. Bogduk N & Govind J. Cervicogenic headache: An assessment of the evidence on clinical diagnosis, invasive tests, and treatment. The Lancet Neurology. 2009; 8(10): 959-968. Cervical headaches are caused by the stiffness and tightness of the joints, muscles, fascia and nerves in the neck, presenting as a constant, steady, dull ache, often on the forehead, temples or the back of the head. This can occur following direct trauma, such as a ‘whiplash’ injury or repetitive trauma at work or during sporting activities. The onset is usually gradual and may be present for days, weeks or months and is often associated with neck pain and stiffness. A person working for long periods at a desk with a poor posture is also at risk of developing a cervical headache. Maintaining a poor posture for long periods can lead to tight muscles and joints in the neck, shoulders and upper back which in turn manifest themselves as a headache. 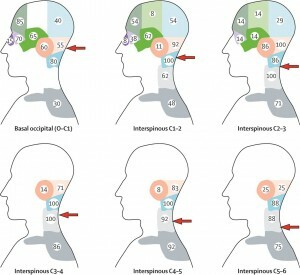 The diagram to the right shows the areas of pain that can be associated with different levels of the neck. At Platinum Physiotherapy we commonly assess and treat people suffering from headaches following trauma or due to poor posture. A person with headaches is likely to benefit from physiotherapy treatment if the cause of the problem is the neck. Our physiotherapists at Platinum Physiotherapy, will initially look at your current symptoms including pain, range of movement, muscle strength and function, in order to develop a specialised treatment program suited to you. Your physiotherapist at Platinum Physiotherapy will guide and support you through your rehabilitation program to correct the current problem and prevent further headache recurrence. Acute wry neck pain (Torticollis) is a common and very painful injury characterised by a sudden onset of sharp neck pain with limitation of movement. It commonly occurs during a sudden quick movement or on waking. Your physiotherapist will usually be able to diagnose acute wry neck pain from the description of the pain, and by examining you. Physiotherapy treatment at Platinum Physiotherapy will help relieve pain and keep your neck moving as normally, so that you make a full recovery as soon as possible. Your physiotherapist will prevent your neck from stiffening up and provide you with gentle exercises to gradually increase your range of movement. Your physiotherapist will ensure your treatment program is tailored to you to ensure you make the best possible recovery and continue to improve in the long term. 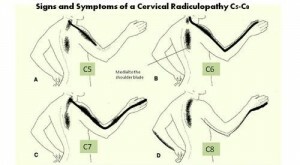 The most common neck pathology seen by Platinum Physiotherapy is “cervical postural syndrome”. This condition is characterised by a protruding chin and rounded shoulders. 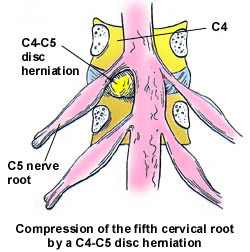 A common complaint is that of burning or aching across the neck and shoulders. Pain is aggravated by maintaining one position for long periods. Office workers who work at a computer are most likely to suffer from this condition. 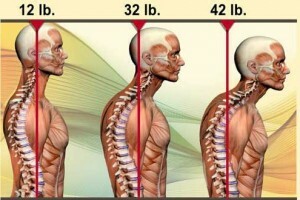 Cervical postural syndrome is caused by adopting poor posture over a prolonged period of time. This may occur during sitting (e.g. at a computer or driving) or during everyday activities such as cooking and cleaning. Muscle imbalance may also contribute to poor posture. Imbalance of muscles in the upper back and neck means that the pectoralis major muscle in the front of your chest and the muscles in the back of the neck are shortened and tight. The muscles at the back of the shoulders and upper back (trapezius, latissimus dorsi and rhomboids) are weakened and stretched. A thorough subjective and objective examination from a physiotherapist will diagnose cervical postural syndrome. What are the symptoms/effects of cervical postural syndrome? Physiotherapy treatment relieve pain and stiffness and identify any factors at home or work that may be contributing to cervical postural syndrome. An ergonomic work station assessment at Platinum Physiotherapy will benefit a person with cervical postural syndrome, who experiences symptoms when sitting at desk. Your physiotherapist will develop a treatment program which will include advice and exercise to improve flexibility, strength, activity tolerance and to ensure the neck is functioning correctly. Physiotherapy treatment at Platinum Physiotherapy will significantly improve your posture, ensure an optimal outcome and prevent recurrence. Acute nerve root pain is a condition characterised by arm pain, often in combination with numbness and/or pins and needles. The patient may or may not experience pain in the neck itself. What causes nerve root pain? Nerve root pain can be caused by direct pressure from a prolapsed disc or degenerative changes in the cervical spine that causes irritation and inflammation of the nerve roots. When the nerve root is compressed or irritated this results in a pattern of pain and numbness in your arms and hands in the area of skin supplied the by sensory fibers of the nerve root, and weakness in the muscles that are also supplied by the same nerve root. Physiotherapy treatment at Platinum Physiotherapy will be tailored to your own specific condition to reduce pain and get you back to a level you were previously safely and effectively. Your physiotherapist will ensure your treatment program is tailored to you, to ensure you make the best possible recovery and continue to improve in the long term. Physiotherapy treatment will relieve pain and stiffness and improve your physical function making everyday activities, work and sleeping easier and more manageable. Physiotherapy treatment will restore you functional ability so that you can return to daily tasks with confidence and independence. “Whiplash syndrome” is the name given to a group of neck pain syndromes most commonly resulting from rear-end vehicle impacts. Permanent damage is uncommon and your long-term outlook is good. 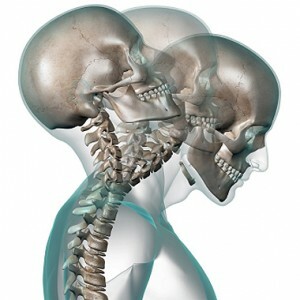 Whiplash injuries are not usually serious and do not involve damage to the bones, discs or nerves in the neck. being struck on the head by a heavy or solid object. Our specialised physiotherapists at Platinum Physiotherapy are experienced in dealing with whiplash and will use a variety of techniques to alleviate your pain and return you to full levels of activity. It is important to start treatment early to speed up recovery. Your personalised rehabilitation program is normally between 4 and 8 weeks in length depending on your needs. Platinum Physiotherapy stress the importance of proper care after injuries sustained in a motor vehicle accident and encourage each patient to follow their instructions closely, following through with every component of the program, to ensure the best possible recovery.